At the beginning of the year, my younger daughter and I spent five glorious weeks in Australia and New Zealand. This was a first for me, a trip to the other side of the world that I never thought I’d make. Apart from an abundance of beautiful nature and an unusual and fascinating flora and fauna, we also visited the big metropolises; Perth, Adelaide, Melbourne and Sydney. Seems old Queen Victoria is everywhere to be found, in statues, portraits, monuments, houses, streets, bridges and place names. Not to mention other royals, such as Princess Margaret Rose (the famous caves near Mount Gambier), the Duke of Gloucester (a footpath trail in Katoomba) and Prince Albert (several parks and squares all over). Another royal that is immensely popular down under is the Danish Crown Princess, Mary, who was born in Tasmania. The capital of Australia is Canberra, a somewhat artificial yet fascinating city with a multitude of museums, exhibitions, archives and libraries. More or less out of duty, we decided to visit Parliament House, the rather unusual modernistic construction that was opened on May 5th 1988 by Her Majesty Elizabeth II, Queen of Australia. 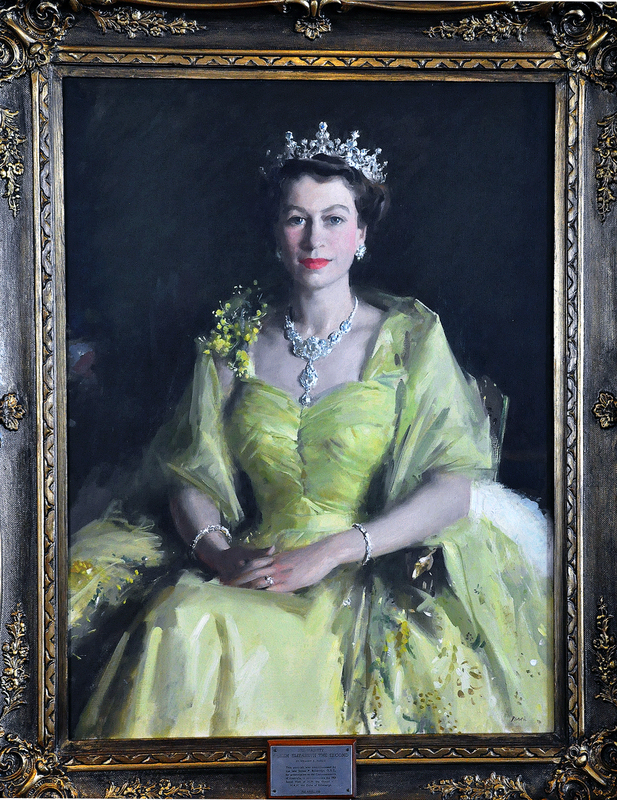 We guided ourselves through the building, and then suddenly stood face to face with Her Majesty in the form of a portrait on the wall. "Why is she hanging here?" asked the daughter. "Well", I answered, "the Queen of England is also the Queen of Australia, New Zealand and Canada plus a few other places around the world". "How strange" was the comment from the next generation. And it is rather.... Why is it that nations that have been sovereign for a hundred years or more still chose to stick with a monarch that resides thousands and thousands of miles away? Would it not have been better for those countries to have started a Royal Family of their own? Why didn’t one send for the Edinburghs, the Connaughts, the Gloucesters or the Kents when it was still possible and have them found new dynasties in spin-off monarchies? Much as the Portuguese did in Brazil? Or was it already too late for that? In New Zealand we came to visit a family whose 19 year old granddaughter was amazed to hear that Sweden too has a queen. "Gosh" she said "I did not know that other countries could have queens too. I thought Queen Elizabeth was sort of the Queen of the World, or something..."